In their study, Lindzen and his colleague (Yong-Sang Choi) used the Earth Radiation Budget Experiment (ERBE) to see how the heat emitted by the earth changed with changing sea surface temperatures (SSTs) over a 16-year period. The general assumption of the climatology community has been that rising SSTs would result in increased water vapor in the air, which would result in further increases in temperature. This is called a positive feedback mechanism – increasing temperatures cause temperatures to increase even more. The observed behavior of radiation fluxes implies negative feedback processes associated with relatively low climate sensitivity. 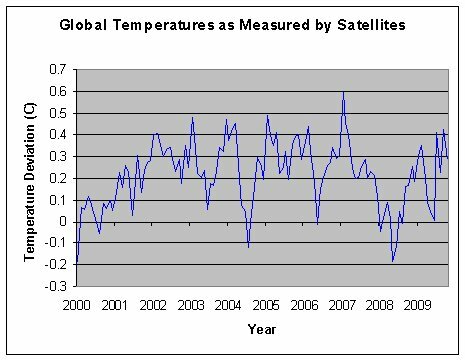 So the Global Climate Models, which are what most of global warming hysteria is based on, don’t even model the sensitivity of global climate to sea surface temperatures correctly. In fact, they model it opposite of the way it really works. Since seas cover the majority of the earth, you would think that the GCMs should get SST sensitivity right before we start making huge decisions based on their predictions! One thing to note about this study is that it focused on the tropics. While it is reasonable to assume that the climate changes resulting from SST changes are probably based on the same basic physics in all parts of the earth, we cannot be sure. Thus, more work has to be done so that we truly understand this wonderful negative feedback system that occurs as a result of sea surface temperatures. 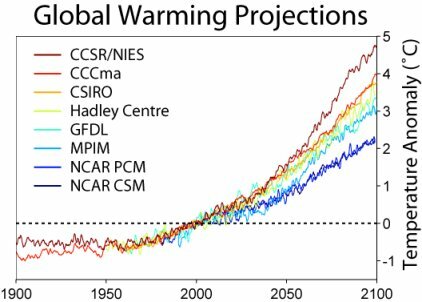 Now I must point out that while Lindzen and Choi have given us even more reason to doubt the hysterical predictions of the IPCC, there is something else they have done. They have provided more evidence for the amazing ingenuity of our Creator. Negative feedback mechanisms are the hallmark of careful design. After all, if a system’s job is to stay in a particular state, then every time there is a change, the system must respond in the opposite direction of that change. We see this in all well-designed systems, including the earth.